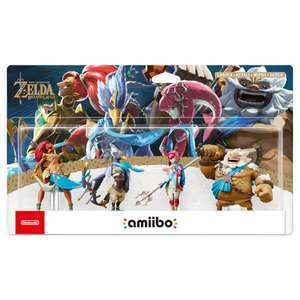 Champions amiibo 4 pack back in stock at the nintendo store £49.99 is much more reasonable than the recent ebay prices. It didn't in the website, amiibo wasn't listed as its own category when I purchased. They're simple, just tap them on the controller. I'd say buy from the UK to be safe, stuff from China is often a knock-off in my experience, and the BOTW amiibo look great! A waste of money to have a nice collectable figure? Because you can get a card instead? And you state that you understand the collection side of things :| What a pointless and annoying "contribution" to this thread. Think it’s just my slides - I saved them for it - as you can see below it I got lucky with xenoblade 2 as well. Any decent local multiplayer games out there?? Anyone know any decent offers on eshop gift cards? Hopefully not a price glitch! Would grab but I'm more of an Animal Crossing person (lol) £1.99 delivery Enjoy! Doesn't state the size of the calendar on the site. Could be small but for £3 it's worth the risk. Heat. Surprising how many of you switch owners don't know this.. Anyone know if you have a limited time to use um? As I’m saving mine for “Mark of the ninja” to go on sale! Code expired now sadly, I just found out. Thank you for this. 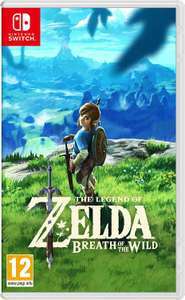 Zelda BOTW and Mario Kart 8 for 80gbp. Not bad at all, Zelda on the eShop is £59.99. SHame the digital version isnt the same price :/ have some heat OP! Each to their own. I really love it and have spent hours on it. Haven’t managed to get into Xenoblade yet and that was very highly recommended on this site. Managed to grab the last one at my local Tesco's, thanks OP, heat added. Should have had Zelda themed thumb caps for the joy cons. Cheers. Just working my way through the main game. This will come in nicely. Never miss a 'Zelda: Breath of the Wild' deal again! Loughborough still had quite a few 50% off Wii U games when I checked on the weekend. Nothing really top tier (after I purchased Paper Mario and Kirby), but still quite a selection nonetheless. In the London Wardour Street branch today, they told me they do not stock second-hand Wii U games any more, but I may have more luck in other stores. Then when I phoned them to ask about stock in White City, the support person said they don't stock any more used Wii U games anywhere as of recently! Yeah 100% one of my favourite experiences on the switch. Has Nintendo level polish despite not being a proper Nintendo game. 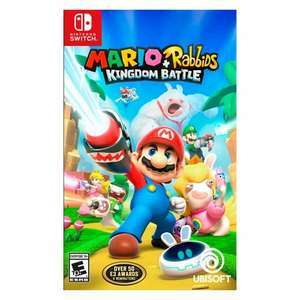 Is Rabbids worth it? Was looking at getting it in the sale. He says "It's the width of an Amiibo and the height of and Amiibo and a half." (lol) Kids today..
Yeah on the main store but it's still got over 200 available on the ebay link OP posted in the description. Also noticed that if you buy more than one they're discounted to £7.59 each so I grabbed two and I'm going to give one away to a friend as a late xmas gift. Currently available for Click & Collect only or In-store. Where did you see that? Would like to keep an eye on room ridiculous prices like that. Whats good :/ Thats £40 each. Lots of articles online too. It’s a problem, but good for you. And yes, the dock is cheap plastic. You can get a sleeve to pop in the dock to avoid, or be careful in placing it. 3rd party docks are really bad and have been known to damage the Switch itself, so not worth the risk there. I'd be kicking up a stink over this..They have the switch with mario odyssey in stock and Zelda (if wanted that game) so I'd be insisting they sent me that at no extra cost. I'd be doubtful of your switch turning up but I hope you get a resolution. You were lucky then. Hopefully ill hear something soon, it’s definitely coursing problems, wouldn’t bother us so much if it was a less expensive item, I talked my partner into letting me buy it for our Autistic son, as it’s all he seems to want for Christmas, it’s not like we are in the position to just go &amp; buy another one. Now getting it in the neck I’ve lost his Christmas present, worried if i get a refund I won’t be able to find another hotdeal . I find it hard to believe DPD don’t know where it is? Surely the person who was expecting a Stereo system got my parcel? But it seems not. Arrived and everything as expected. Mine was delivered by Expert Logistics, they also use DPD. It's the vanilla version (no Fortnite promotion), the Switch box and everything inside is just in folded poly bags not taped. I purchased my switch second hand, and the previous owner bought BOTW digital edition. He didn't wipe the console so I got the game, but didn't pass me his account login either. So if I buy the BOTW DLC with my account now, will it work ok? If you go into the store on the switch it's discounted by 25% and expires on 29/11. Definitely. Its at least 15 hours of content. Zelda BOTW on the South African Nintendo estore for 594 Rand (£33.47). Cheapest seen for a while! Is there a way to purchase this if I do not have my switch yet? I just didn't get into this but I don't understand why. The constant breaking weapon mechanism, always starved for arrows, general difficulty etc. Would love a "complete noob" mode to just run round and enjoy the game world freely. Described by some as “the most impressive game Nintendo has ever created” and as “pure video game ecstasy” by others, Zelda: Breath of the Wild is clearly something special. The game sees you taking control of Link once again, but this time he has been frozen for 100 years. In the meantime, the evil lord Ganon has assumed control of Hyrule, and it’s Link’s mission to awake, venture forth, and destroy him. With a huge game world, plenty of non-player characters, runes, weapons and landscapes to experience, Zelda: Breath of the Wild is one of the richest gameplaying experiences any gamer will have experienced. That’s why Nintendo has decided to make it the main launch title for their Switch console, and why so many critics have labelled it the best game ever. If you aren’t familiar with the Zelda saga, it will really help to learn a little about where Breath of the Wild has come from before you start to play, and you may even want to try out some of the older versions beforehand as well. The very first Zelda game appeared in 1986 on the Nintendo Entertainment System which was the brainchild of Japanese game designers Shigeru Miyamoto and Takashi Tezuka. After that, a sequel followed one year later, followed by A Link to the Past (the first SNES outing), and then Link’s Awakening, which was an exclusive Gameboy release. The series then took a huge step forward with the release of Ocarina of Time in 1996 for the N64. The action moved from 2D platforming and overhead exploration to a first-person world that was larger, more interactive and stunningly beautiful. Ocarina was succeeded by a similar sequel, Majora’s Mask, the first Zelda title to feature sailing as a gameplay element. Twilight Princess arrived for the Wii in 2006, followed by the Skyward Sword (for Wii and Wii U) in 2011, and then Breath of the Wild which was announced in 2015 and landed in March 2017. All the while, Zelda players could expect familiar game mechanics, with Link as the main character, enemies to defeat, weapons to collect, Ganon to beat and dungeons to explore. The role of the Princess Zelda changed from episode to episode, but rescuing her generally remained Link’s goal, as did the quest to reunite the three pieces of the ‘Triforce’. There have been 19 Zelda releases in total (the summary above doesn’t include all of the handheld releases or semi-official releases on other consoles). Many of them can be played on the Wii U via the Nintendo EShop, and they will soon be made available for the Nintendo Switch as well. How Can You Play Zelda? 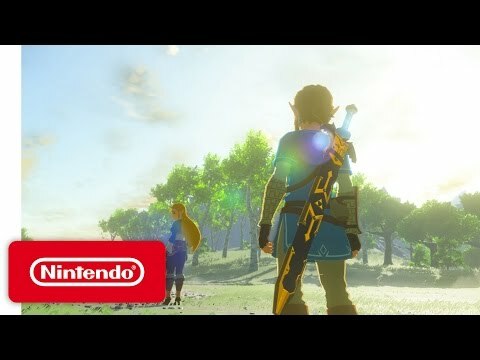 Zelda: Breath of the Wild was released in March 2017 for the Wii U and the new Nintendo Switch, and these look likely to be the only platforms the game will be released on. To get the game, you’ll have to download it from the Wii or Switch eShops, buy it in a console bundle or buy a hard copy from one of hotukdeals gaming merchants. If you are familiar with older Zelda titles, you’ll have no problems getting up to speed with Breath of the Wild. The basic aspects of the game are consistent with almost every Zelda game, stretching right back to the Legend of Zelda in 1986. The story sees Link waking up after a 100-year slumber. In the meantime, Hyrule has become overrun by an army of monsters and machines created by Sheikah (the guardian of the world) to defeat Ganon, Link’s nemesis. Although Sheikah succeeded in confining Ganon to Hyrule Castle, the army turned against him, wreaking havoc in Hyrule. At the same time, Ganon has been growing in power, making plans to break free and take control. It’s Link’s role to make sure that doesn’t happen, so he is tasked with finding Ganon and vanquishing him, forever. Because of Sheikah’s army, Hyrule is a hostile place to wander, and Link begins the game with virtually no weapons to speak of. This sets up a survival-action dynamic, where players have to defeat weaker enemies to acquire their weapons and continue to battle, becoming more powerful, skilled and better equipped. The Sheikah Slate – This magical device is carried by Link, and allows him to map the world, investigate the abilities and strength of enemies, and to acquire new powers, including bombs and telekinetic abilities. Runes – These are the tools Link needs to activate the powers of the Sheikah Slate. They include round bombs, magnesis (the ability to move items), square bombs, stasis (freezing enemies) and cryonis (creating ice pillars that Link can jump onto). Shrines – Mini dungeons, Shrines will be familiar to Zelda veterans. There are 120 spread across the game map, all of which include rewards like runes when the puzzles they contain are completed. Clothing – Link is sensitive to the different weather conditions in Hyrule, which vary from absolutely freezing to boiling hot. You can collect handy clothing items like the quilted doublet which keeps Link warm, enabling him to traverse the coldest regions of the world map. Cooking – The game world is littered with cooking ingredients and whipping up meals for Link is one of the most important parts of the game. Some foods add health, others increase Link’s stamina, some (like spicy peppers) help him withstand the cold, others make him stealthier, while some increase his speed. Knowing which ones do what, and how to combine them into meals and elixirs is a vital skill. Fairies – You’ll find fairy fountains across the map, which are home to massive great fairies. If you pay them well (in the form of ingredients they need), they will supply you with handy outfits that improve your abilities. Treasure – When you wander around Hyrule, you should also be on the lookout for treasure chests, which could contain run of the mill arrows, or extremely hard to find exotic weapons. Korok Seeds – Link can also collect tiny seeds from animals called Koroks, if he gives them what they want. These seeds can then be handed over to a character called Hestu, who needs them to recreate a set of maracas (seriously). When the maracas are complete, he will reward Link with extra weapons and armour. The Temple of Time – Where Link can go to trade the orbs he earns from completing shrines for new abilities or extra health. Most of these things are taught to novice players from the start of the game, when Link finds himself on the Great Plateau, high above Hyrule. Here, you can learn combat basics, how to interact with characters, the rudiments of cooking etc. and the difficulty level is low. You’ll need the skills you learn when you find a way down to the main game world below. Zelda: Breath of the Wild is a survival game, not a traditional role-playing game, with its levels, classes and hit points. Link just has his standard heart counter to show his health levels, and whatever weapons, clothes or shields he is carrying at one time. So, it’s a simpler game in some respects than most RPGs and more accessible for ordinary gamers. However, there are some game dynamics that you need to know about if you want to survive (aside from how to fight, which is covered below). Weapons will break, so don’t rely on them. When you start, early weapons will snap like twigs (and may actually be tree branches at first), so you’ll need to constantly harvest weapons from enemies as you defeat them. Towns are a great place to hunt for extra weapons which you’ll often find hanging about in out of the way locations. You can also steal weapons from enemy camps by using your stealth skills. Cooking is vital, so learn how to stew up ingredients as soon as possible. Most ingredients will become more potent when they are stewed, so experiment with different concoctions. There are some handy tricks formoving around the game world. For example, Link can surf on his shield (although this will deplete the shield) or hang-glide from higher points. Link can be threatened by extreme conditions. If he is using wooden weapons, they can catch alight in fiery environments, while metal is susceptible to lightning strikes if Link wanders through severe storms, so watch out. Weapons – Link can use a huge variety of weapons, including swords, clubs, spears, axes, hammers, bows and fire rods, and also has access to plenty of defensive tools, like shields. As noted above, all weapons deplete and you can easily waste them by using them for pointless attacks. An important part of the game involves husbanding your resources and knowing when to attack, and it’s easy to leave yourself defenceless by destroying a weapon during combat. Melee Combat – In melees, players can lock onto different parts of the bodies of enemies, targeting their weapons with deadly precision. The Switch’s Joy-Con allows you to attack by swinging your hand or you can swipe with the ZL button. Ranged Weapons – If you don’t want to attack at close quarters, you can use ranged weapons like bows. Aim for headshots if you can as they will deplete your enemy more quickly. Again, you can use the Joy-Con controllers to precisely aim your arrows and unleash them on your adversary, which takes some getting used to but could be the most effective way to attack. Advanced Attacks – It’s not all about bludgeoning enemies to death or scoring headshots. You can also use dodges, backflips and flurry attacks to neutralise the strengths of opponents and maximise your hit rate. Enemies – Hyrule is packed with hostile adversaries, and each one has their own strengths and weaknesses. They range from tiny bees (which can pack a nasty sting) to fearsome bokoblins (which look worse than they actually are), guardians (which have tricky laser beam weapons), as well as octoroks and moblins – all of which should be familiar to Zelda veterans. Firstly, there are two different versions of Breath of the Wild: the Wii U and the Nintendo Switch versions. The good news for Wii U users is that the version for their system is almost identical to that of the Switch. The same gorgeous manga-style graphics and deep gameplay are present, and the action moves at an impressive speed. The differences are in the way you control Link, with the Switch’s Joy-Con controllers bringing a new dimension to combat and general navigation. 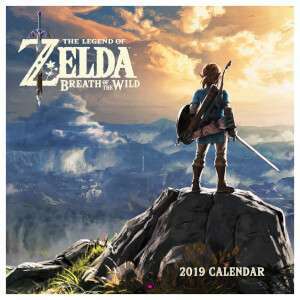 The Standard Edition – Including just the game disc (or download) of Zelda: Breath of the Wild and nothing more. Expect the Switch version to cost a little more than the Wii U version. Limited Edition – Nintendo knows that there is a huge community of Zelda fanatics out there, so it’s no surprise that they brought out a limited-edition version. Significantly more expensive than the basic edition, the Limited Edition comes with a CD featuring sounds from the game, a Sheikah Slate carry case, a decorative tapestry, a collectible coin and a Master Sword of Resurrection figurine. It is only available for the Nintendo Switch, not the Wii U. Special Edition – Slightly less feature-packed than the Limited Edition, the Special Edition includes the Sheikah Slate carry case, the tapestry and the CD of game sounds (as well as the game itself, of course). You can also buy Legend of Zelda: Breath of the Wild bundles with the Nintendo Switch and the game disc included. This is Nintendo’s major marketing push for their new console, and it’s a good option if you want to buy both the system and its leading title. However, double check to see that the price of the bundle is lower than buying the console and the game separately. You may well find that hotukdeals merchants are offering cheaper deals than standard bundles, so don’t pay over the odds. Is it Worth Upgrading to a Nintendo Switch to Play Zelda: Breath of the Wild? This is the crucial question for Wii U users and the answer is maybe. While the game itself is fantastic on both platforms and there are very few differences between them, buying a Nintendo Switch and Zelda bundle could be a cost-effective way to make the upgrade. The Wii U isn’t dead by any means (as Zelda shows), but cutting edge gamers will be thinking about moving on to the Switch, with its Joy-Con controllers and extra features. Zelda could be the factor that makes the change worthwhile. However, if you love your Wii U and have no interest in what the Switch has to offer, there’s no need to upgrade just because Breath of the Wild has come along. It’s still an incredible gaming experience on your system. You’ve absorbed all the hype, watched the gameplay videos and read this buyer’s guide. By now, you are probably desperate to start playing Breath of the Wild. However, don’t rush the purchase. It’s an expensive game, so find the best deal. Firstly, check the hotukdeals listings to find out the best prices. Our listings feature major UK games retailers like Tesco, Currys, GAME, Smyths, CDKeys and online sellers like eBay and Amazon. With so much choice, you’ll find a wide variety of deals, so always browse the listings before making a purchase. Think about whether you want to buy Zelda on its own, or with the Nintendo Switch as well. You may well find bargain bundles with the basic or special editions and the console, so shop around. If you want to upgrade, but don’t want to spend too much money, wait until Black Friday in November, when prices plummet (or failing that, check out the January Sales). Of course, most gamers will find it hard to resist buying Breath of the Wild as soon as possible. In that case, enjoy the game, but do so as cheaply as possible by shopping via hotukdeals. The Legend of Zelda: Breath of the Wild is one of the greatest video games of all time. 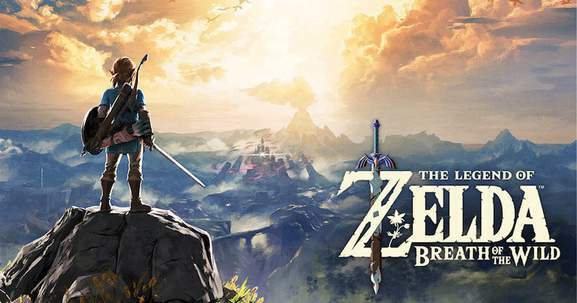 Available for the Wii U and the Nintendo Switch, Breath of the Wild is an unmissable title for gaming fans, and you can find all of the best Zelda deals at the hotukdeals Breath of the Wild listings.